As heroin use increases to epidemic levels in the U.S., the primary question is why? The acceptance, decriminalization, and legalization of marijuana, are all factors that have posed debate over whether or not there is a direct correlation between pot legalization and the increase of heroin use in our nation. However, while professionals do not condone the use of Marijuana, the problem seems to stem from another form of getting high. Opioids and prescription drugs have continued to climb to the top of the addiction ladder over the past decade. With an increase of reported deaths and cases related to narcotics, there seems to be a paradigm in the rising numbers of heroin incidents. Many researchers and experts have concluded that the real gateway drug at large is not marijuana, but actually prescription drugs. 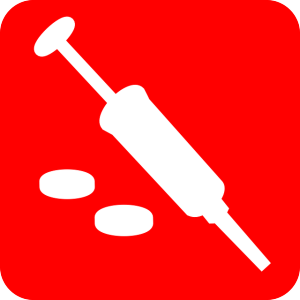 Recent studies demonstrate that most heroin users turn to the drug after using opiate-based prescription narcotics. When carefully monitored, these FDA-approved drugs are relatively safe for medicinal pain relief. However, these pharmaceutical manufactured gateway opiates are highly addictive. Once a prescription supply runs low, the $30 per pill black-market cost can be price prohibiting and difficult to get refilled. Heroin, on the other hand, provides an extremely dangerous, yet cost-effective and similar high alternative. A bag of heroin is not hard to obtain on the streets, and starting anywhere between $10-20 dollars, it will achieve the same, if not more intense, high for a user. With Opiates readily available through doctors’ often lenient prescribing, prescriptions can be found in many household medicine cabinets. While exposure continues, our country’s battle with addiction grows and introduces a higher demand for specialized help and treatment. Prescription drugs and heroin have become more common than ever, not just circulating the stereotypical ‘street-addict’ group, but affecting men and women who are teachers, parents, high school students, businessmen, celebrities, and even political figures. Prescription drug abuse has also become a popular trend among many young college and professional athletes, who are frequently prescribed such pain medications to aid their performance. The issues being that these pills are so highly addictive and that there is a lack of understanding and training among some doctors. Some professionals are not aware of the risks and how highly addictive these prescription drugs actually are. The withdrawal symptoms are very harsh and recovery from both opiates and heroin is no easy feat. From an antidotal perspective, it is apparent that the relapse rate is higher amongst those who are addicted to narcotics and heroin. While extremely addictive, prescription drugs are continuously monitored during the manufacturing process. Heroin, however, is not pharmaceutically created and may be laced and cut with any number of deadly additives, including the powerful synthetic opiate Fentanyl. Such mixes can severely impact the body, and while one opiate pill may not cause an overdose, a single use of heroin can easily kill. It is important that our Nation curbs its use of prescription opiates. Whether it be through the over prescribing of narcotics, or the readily available access in households, the epidemic has grown to great proportion and is in need of monitoring and correction. As we have seen time and time again these past few years, heroin does not hesitate to take lives, nor does addiction discriminate what type of person it can take form in. There is no reason for a gateway as dangerous as this one to exist as easily and commonly as it does. It is important that our country takes the proper protocol in educating those who are unaware of the repercussions of such drugs and create efforts to prevent it from escalating. 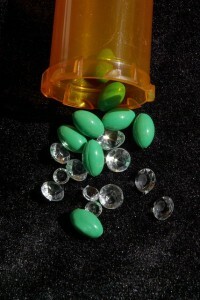 Many who suffer from such addiction cannot overcome the battle on their own; it takes specialized treatment and attention to target the route of the cause. What may seem like a good time at first can quickly spiral into a fatal outcome which is why the matter calls for critical attention and care. Peter Piraino is a social worker and addictions specialist who graduated from Stony Brook University with a master’s degree in social work and a specialization in addiction. He has worked extensively with clients and families seeking recovery in both inpatient and outpatient settings. He taught the treatment of addiction at Stony Brook University and has been a guest speaker at the National People of Color Conference. He specialized in working with adolescents and children as part of his addiction and family treatment work at programs such as Little Flower Foster Care Agency and the Long Island Center for Recovery. Most recently, Mr. Piraino served as the Program Director of The Dunes East Hampton, where he shaped and helped to create the Northeast’s foremost high-end residential substance abuse facilities. His knowledge and experience helps make Origins a world-class leader in the highly competitive field of addiction recovery.